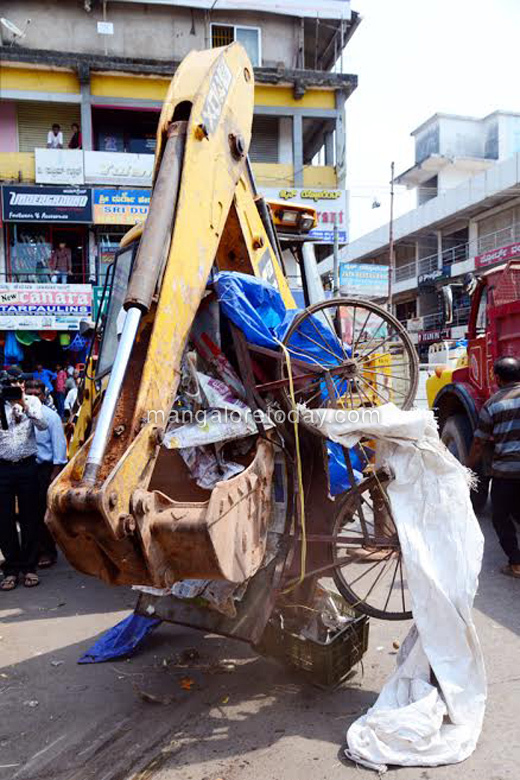 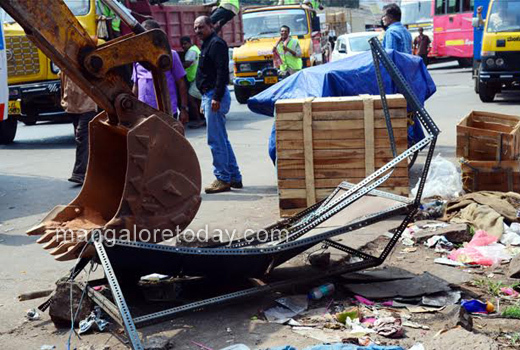 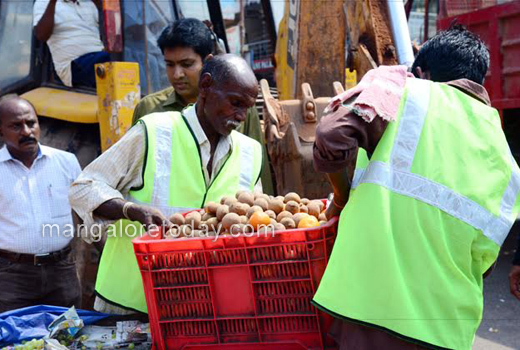 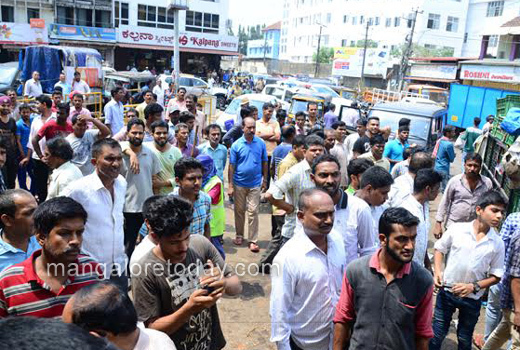 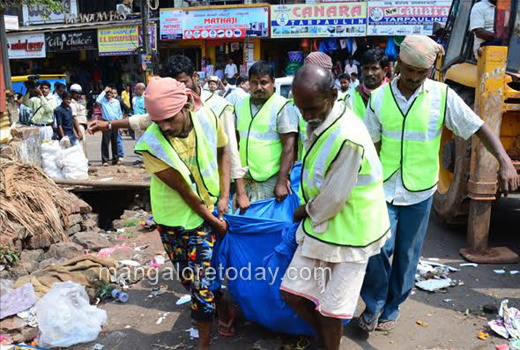 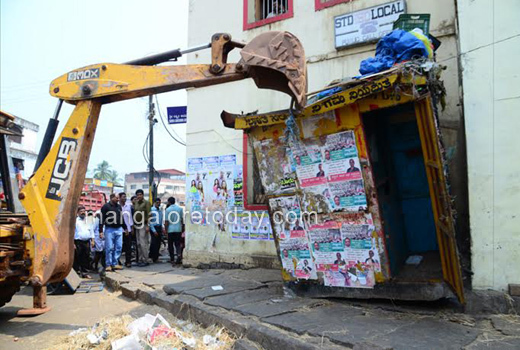 Mangaluru, April 19,2017 : Several petty shops which were functioning on footpaths in Hampankatta, Central Market area and Nellikai Road were evicted by MCC officials on April 19, Wednesday morning. 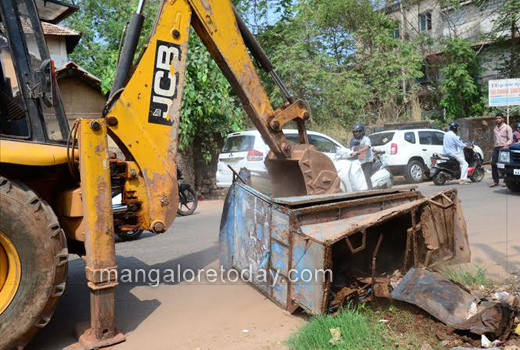 Praveenchandra Karkera, Revenue officer and other MCC staff were part of the team which conducted the raid with police protection. 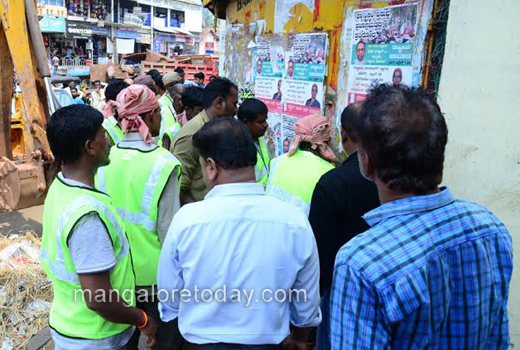 Meanwhile, some shop owners in Central Market area opposed the eviction drive and complained that they were not intimated in advance. 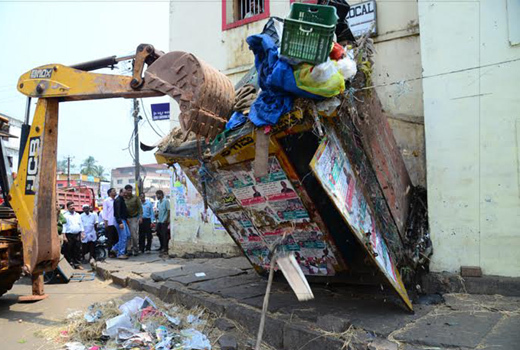 MCC officials revealed that the eviction drive was launched in the backdrop of the complaints from citizens that the shops were obstructing their movement. 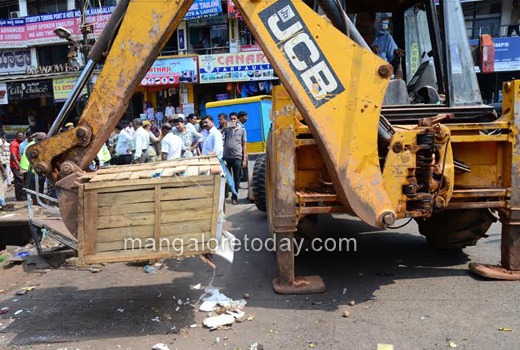 The day of raid the area looks clean but won’t last for long . 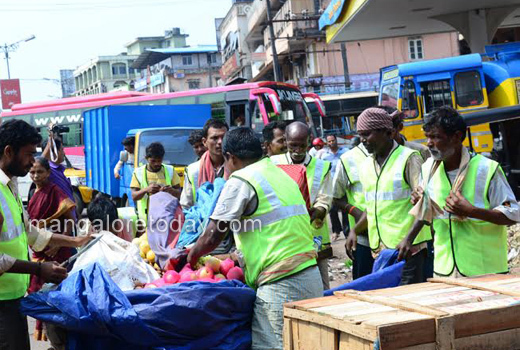 The MCC always targets the poor , because there are so many illegal business which are gfo0ing on but the corporation is not concerned about them . 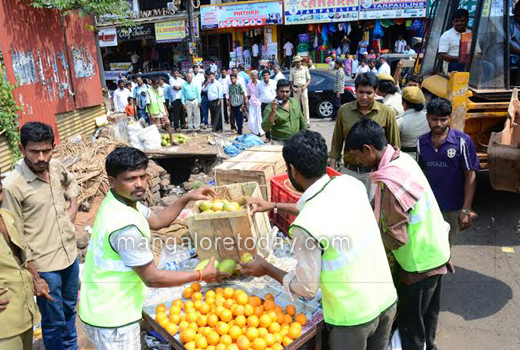 These people belong to the poor section s of the society they cannot afford to buy shops for rent so they earn their living this way. 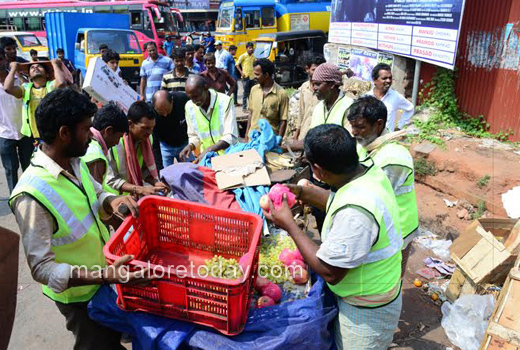 This is not the first time but so many times the MCC has raided but they are back to normal as usual .